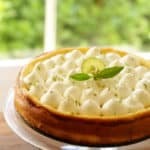 Easter is just around the corner and if you are looking for a real showstopper for the occasion, you cannot go wrong with this Easy Key Lime Pie Cheesecake! 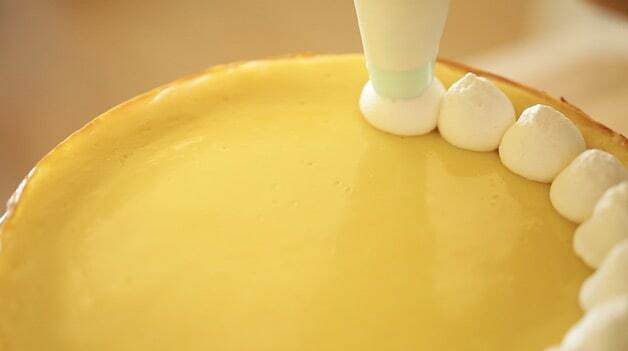 It combines too of the best Easter flavors, rich cheesecake and key lime pie, all set upon a chocolate cookie crust! For an even easier Key Lime dessert you can try my Key Limes Cups. For this cheesecake I really love to use a chocolate cookie crust. 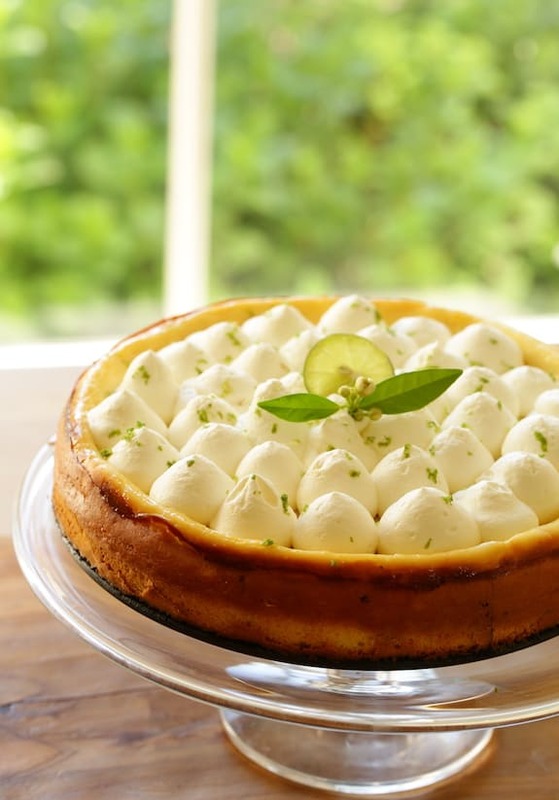 It’s a great flavor combination against the richness of the cheesecake and the tartness of the key limes. 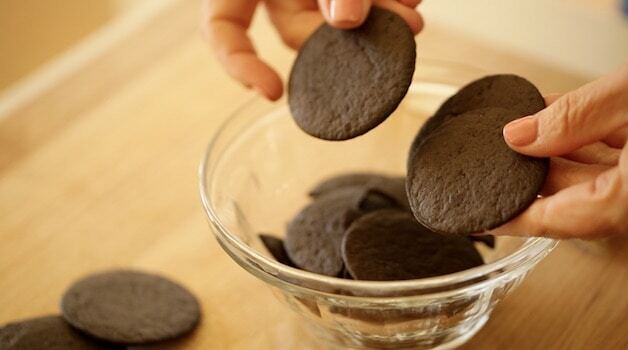 I like to use the Famous Chocolate Wafers for this, but feel free to use any chocolate wafer cookie you can find. 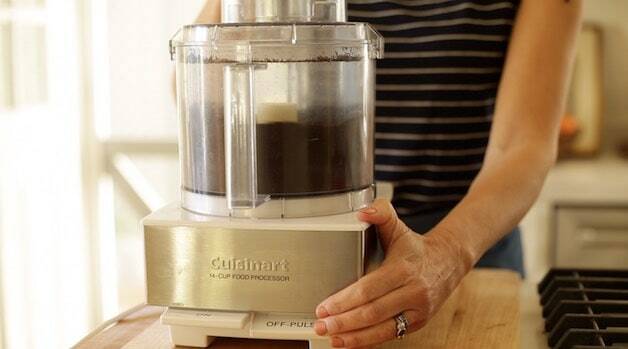 Whirl them up in a food processor (This link goes to Amazon where I am compensated for products sold) with sugar, salt, and melted butter (full recipe below) and that’s all there is to it. 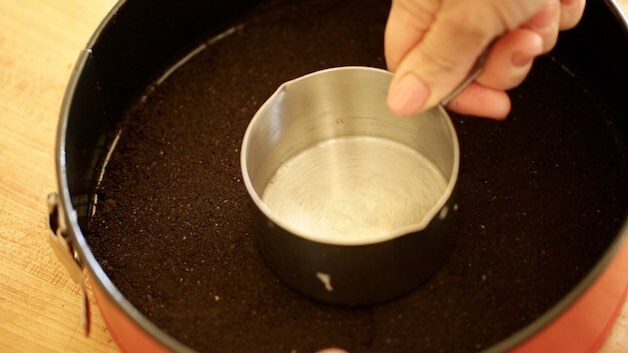 Create an even layer of crumbs on the bottom of your spring form pan to form the crust. 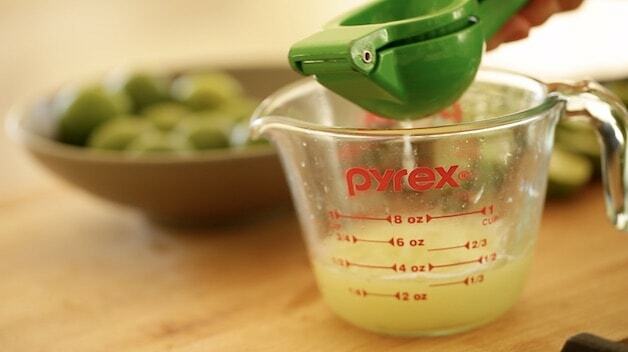 TIP: Pat the cookie crumbs down with a measuring cup. This will create a nice tight crust and it’s a bit easier to get uniformity this way, than trying to do it with your hands. Bake the crust at 350F for just 5-6 minutes. 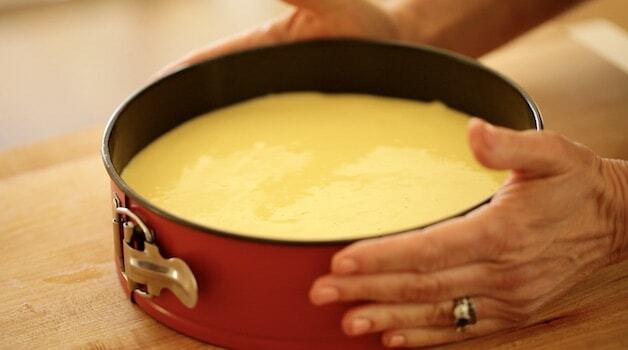 Once your crust is cooled, you’ll make the cheesecake filling and add it to the cooled crust as the first layer. 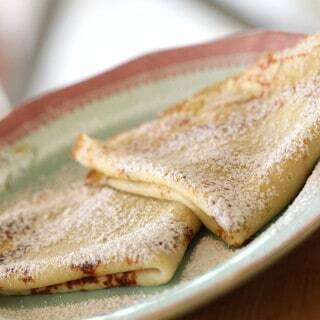 Next you’ll whisk together the key lime filling which is even easier! 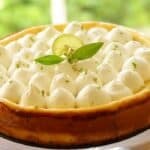 What is Key Lime Pie Made of? 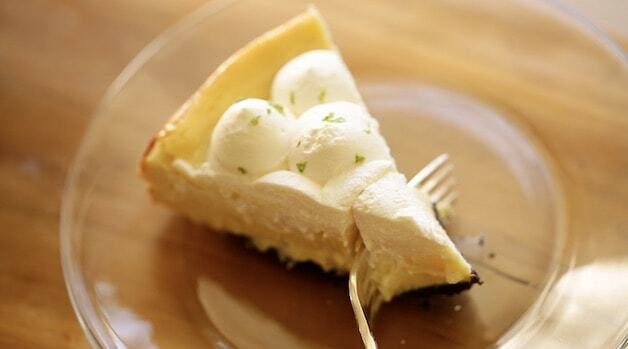 Key lime pie could be the simplest dessert on the planet. Its basically 3 ingredients. 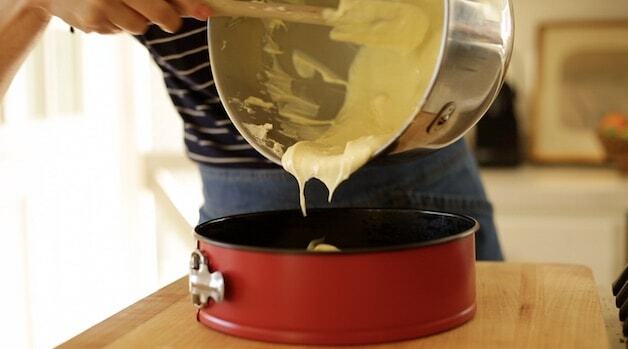 What’s the Difference Between Sweetened Condensed Milk and Condensed Milk? 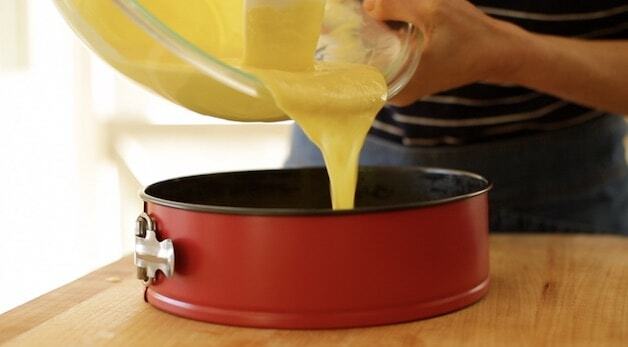 Sweetened Condensed Milk has sugar in it, whereas Condensed Milk does not. 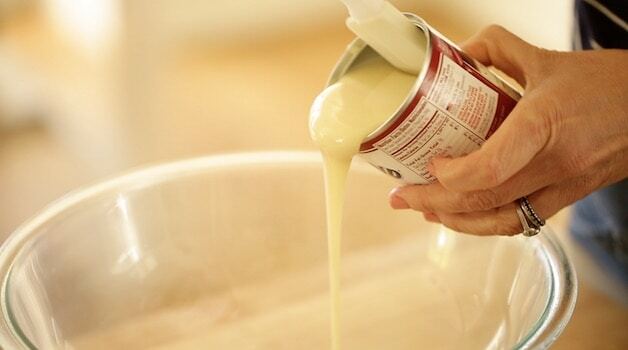 They both have a very thick, condensed texture, but I like to use the sweetened condensed milk for key lime pie recipes because it saves you the step of having to add the sugar. Can I Use Regular Limes Instead of Key Limes? In a word, yes. If you can’t find key limes you can use regular limes. I find key limes are a bit more tart than regular limes, but they have this very floral fragrance them that adds a great flavor to desserts. 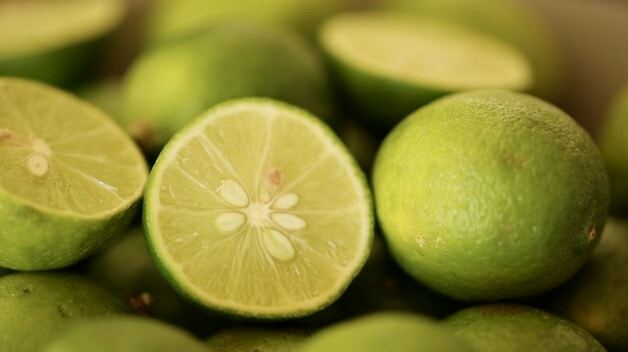 But it’s really a subtle difference so if regular limes are all you can get, they will definitely work too. 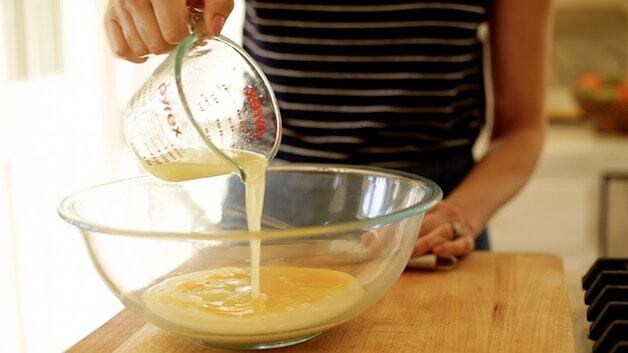 Once your key lime batter is made, you will pour it on top of your cheesecake batter. 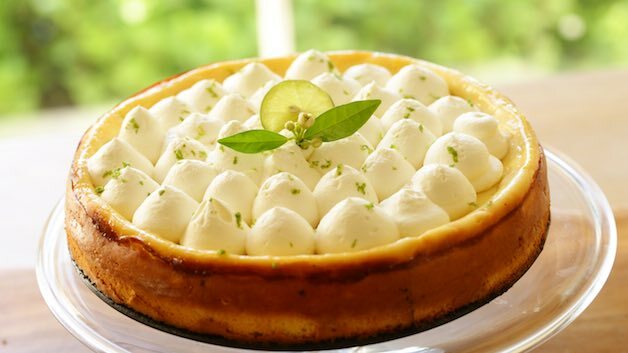 TIP: Resist the urge to just pour the key lime batter directly in the center of the cheesecake. 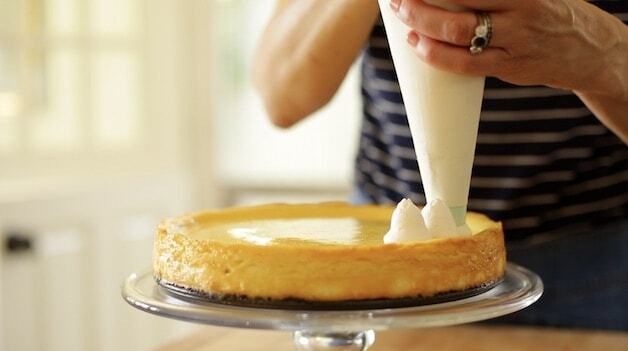 It works better to pour it around the perimeter of the cheesecake and then a little bit in the center. This will make it easier to smooth the key lime pie filling over the cheesecake so it’s completely covered. Otherwise, the cheesecake will rise up and crack before the key lime pie filling is set. So be sure your cheesecake is completely covered by the key lime batter. It will take between 35-40 minutes to bake and should be slightly jiggly. No time to bake a cheesecake, try my No-Bake Berry Cheesecake instead! 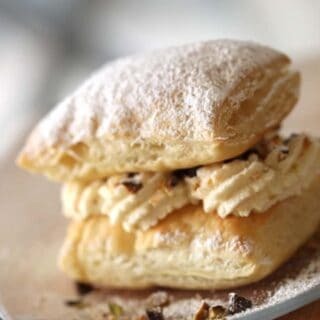 Make the homemade whipped cream (recipe below) and then transfer it to a pastry bag. I love to make small little dollops all around the cheesecake. Starting on the outside edge and working your way in to the center. It looks really pretty and is SO simple to do! Then garnish with a fresh lime zest and a lime wheel in the center. If you have access to citrus trees, a little citrus blossom is also a pretty garnish too. This dessert really needs at least 4-6 hours to set and chill in your refrigerator. But overnight is even better. The flavor will be better once the cheesecake is set and chilled and it will make it easier to slice too! I made this LimeCheese cake for my friends for Easter it was a hit!!!! Everybody love it!!! 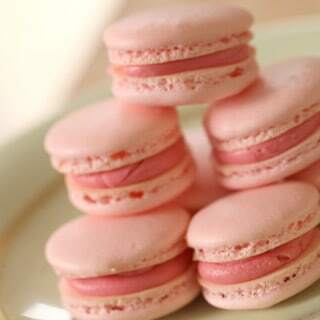 Thank you so much Beth for posting this recipe!!! YAY! So glad it was a hit! I made it as well for Easter 🙂 Always a crowd pleaser! My sister and I made this last night for our family Easter dinner tonight. It smelt amazing and I am SO excited for everyone to taste it. 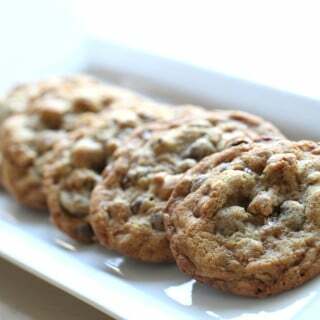 Thanks for sharing this recipe with us Beth! Am I correct in assuming you’re using a 9″ spring form pan?